Examples when someone might hire a private investigator include investigating suspicions of infidelity, performing background checks on potential employees, investigating the validity of an insurance claim, or finding a missing person. The reasons for hiring a private investigator are numerous, but investigators remain the most effective way to get to the bottom of a complex issue. Private investigators can specialize in different investigation types, so when hiring an investigator it helps to find one who is experienced in the services you require. For example, if you suspect you are the victim of online fraud, an investigator who is highly experienced in computer forensics will be able to recover data, monitor computer usage, and employ other methods to discover any criminal activities. 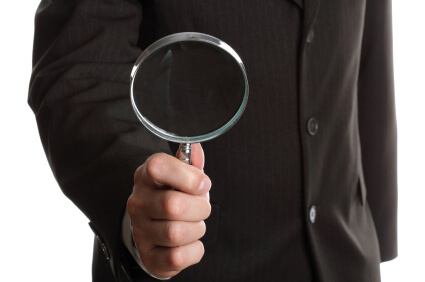 To learn more about the different kinds of investigations, visit our investigation types section. Professional private investigators not only have the skills and experience to handle a case, they have the legal and ethical knowledge to make sure that the investigation is completely lawful. This knowledge base ensures that any evidence the investigator obtains during the investigation is admissible in court. Professional investigators also possess any licenses, certifications, education, and other credentials required in their areas of operation. States vary on what they require investigators to maintain in order to be in business, but you want to make sure that the investigator you work with is fully in compliance with all requirements. If you need to hire a private investigator, you should work with someone with the experience, skills and qualifications necessary to successfully handle your case. PInow has taken the guesswork out of your search for a trusted private investigator by pre-screening and vetting each of our members, so all you need to do is search for someone in your area.